Deerhunter has always been one for pushing the envelope. Existing on the often-thin border of experimental pop and punk, the band’s minimalist and often surreal production have lent themselves to some truly brilliant records in the past, records that felt truly unique and original. Which is why it is so disappointing that, in their most recent release, “Why Hasn’t Everything Already Disappeared?,” such a brilliant and original band falls back on tracks that feel derivative and, at times, boring. The band treads ground that others have walked upon many years before them while contributing nothing new to these styles. The record’s lead single and lead track, “Death in Midsummer,” falls heavily back upon a clinky piano backing track before diving into a Kevin-Parker-esque modern-psych guitar break. While lyricist Bradford Cox’is at his best in this track — more so than anywhere else on the album — the song does not pulse or pound as Deerhunter tracks are wont to do. Rather, the song plods along, seemingly mirroring the lives of the monotonous workers who fade away “in these poisoned hills.” While clever, it hardly makes for an interesting or particularly memorable track. “What Happens to People?” tries to evoke Real Estate ­­— a band with a similar drone-rock style ­— in the backing track, but the overall result simply sounds pretentious, reaching for some broad truth on nature that sounds more like a stoned musing as opposed to some artistic insight into the human condition. “Tarnung,” meanwhile, feels like an outtake of Grizzly Bear’s 2009 album “Veckatimest,” blending baroque pop and indie rock with soft horns, a trippy xylophone and vocal harmonies — but the result is that Deerhunter sounds about ten years behind the times with the track. Indeed, this album feels less like a true Deerhunter album than a compilation of indie rock outtakes from ten years ago — a worse version of “Dark Was the Night.” Deerhunter struggle to find their voice on this album, bouncing around trends from ten years ago from different artists, and Cox’s lyrics stumble around in the dark equally so. Deerhunter has lost their voice, and they are frantically borrowing that of other artists’ to sound complete. The album as a unit is typically abstract, but whereas on previous albums — such as Deerhunter’s masterpiece Halycon Digest – the surreal nature of the content lent itself to a greater vision of the album, on Why Hasn’t Everything Already Disappeared?, the tracks merely sound jumbled up and confused. The lack of sonic cohesion — the inability of Deerhunter to pick a style and stick with it — fails to create a single vision of the album. It is difficult to say what the album is truly “about”, as even the few individual themes that tracks represent are obfuscated, lost in the appropriated styles of other artists. 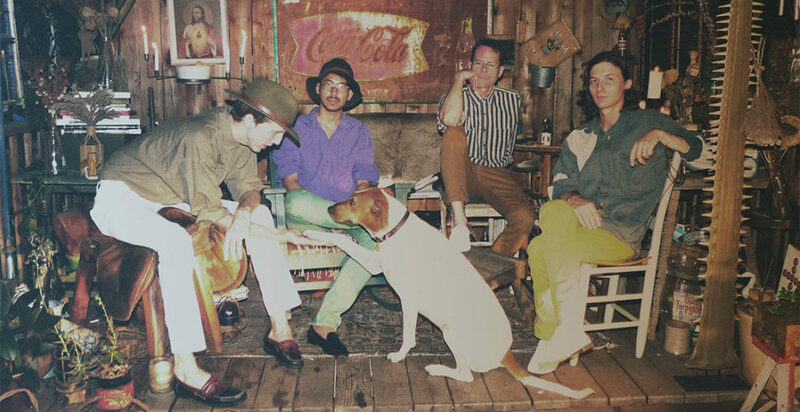 The only track where Deerhunter sound comfortable is the one in which they step into their own skin, “Elemental.” “The wind was stained/Orange clouds fade up for a toxic view/Of endless time, endless time/Let it wash over your body,” Cox builds up to a sufficiently trippy chorus, a back-and-forth of the track’s title, over strings and the same clinky piano. “It’s elemental how I move,” goes the track – seeing Deerhunter move in their element is a rarity on this album, and this is one of the few tracks that truly showcases that kind of familiarity. But the rest of the album only feels familiar to the audience and evidently not to Deerhunter. The band still has a flair for the experimental – “Nocturne” and “Détournement” showcase the bands’ interest in the truly weird, but the rest of the album feels wholly derivative and boring. It is decidedly a step backwards for the Athens outfit. For a band that has spent so much of their career on the bleeding edge of indie, it might have been fine had they stayed in their safe zone of experimental-slash-drone-slash-rock, but unfortunately the band retreated even further on this album into the safe zones of other bands, to their own detriment.